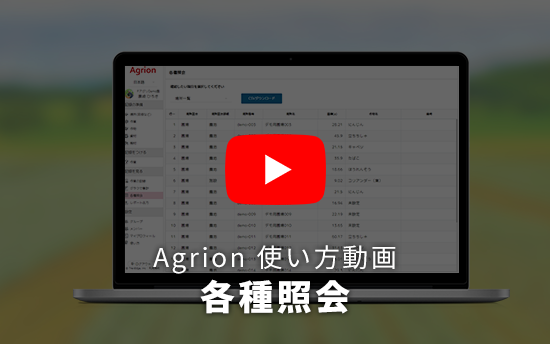 We will introduce the functions of Agrion. 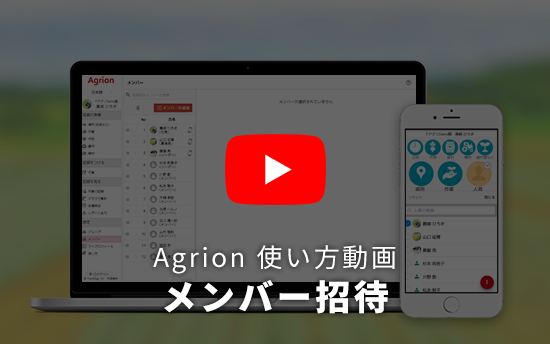 Agrion is available as a smartphone app and a web app. Register places to record working hours such as fields and workshops. Register the work to be performed. Do not forget indirect labor such as preparation and commute. 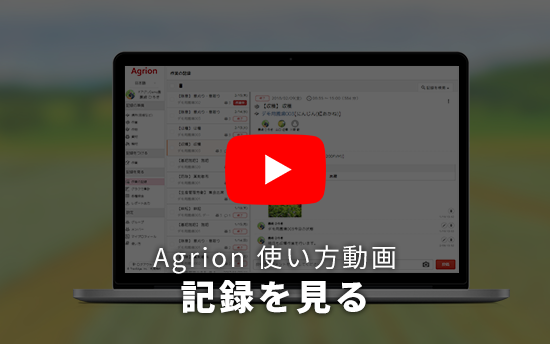 Register the crops to be cultivatated. The fields are displayed in different colors according to the set colors. Register pesticides, fertilizer, seeds and other consumable materials. 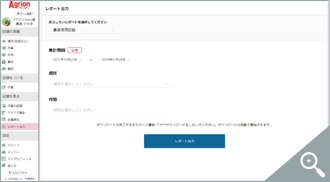 Register a machine, to record the machine running time. Insert the time on your smartphone at the beginning and end of work. Harvest volume, shipment quantity, pesticide usage etc. also can be recorded. 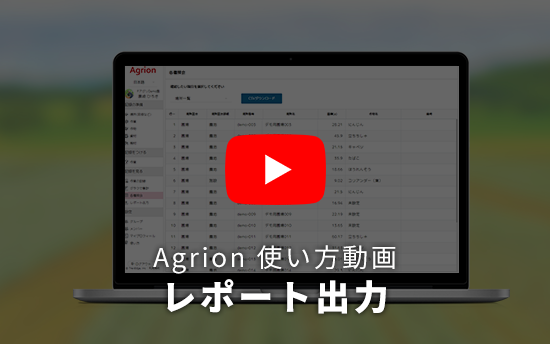 Browse and edit work records. Aggregate the work records and display it in graph form. Check the working hours per day, work hours per field, working hours per person. Display the data registered in “Preparation for recording” in a list or download in CSV format. Summarize your work records and download them in Excel format. 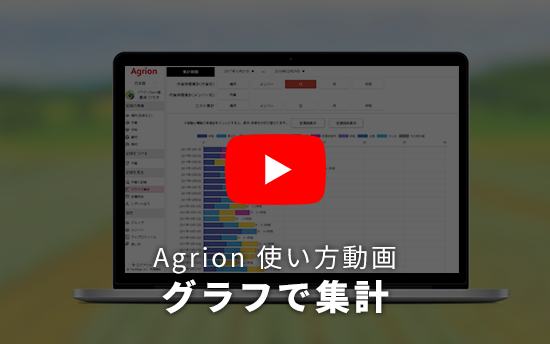 Agrion manages information on a “group” basis. 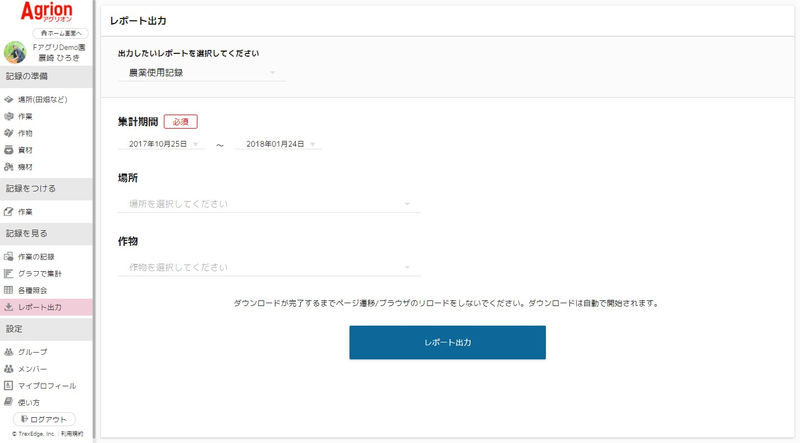 Only members belonging to the group can see the registered data. Members can be added via “invitation”.